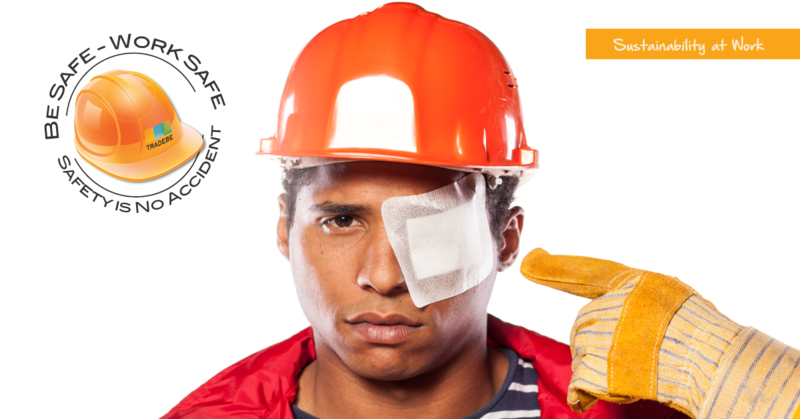 Eye Injuries in the workplace are very common. Keep your team safe by ensuring everyone is aware of Workplace Eye Safety Hazards and using Proper Eye Protection for the job. The National Institute for Occupational Safety and Health NIOSH reports that every day about 2,000 U.S. workers sustain job-related eye injuries that require medical treatment. However, safety experts and eye doctors believe the proper eye protection can lessen the severity or even prevent 90 percent of these eye injuries. The Occupational Safety and Health Administration (OSHA) requires workers to use eye and face protection whenever there is a reasonable probability of injury that could be prevented by such equipment. Personal protective eyewear, such as goggles, face shields, safety glasses or full-face respirators must be used when an eye hazard exists. The necessary eye protection depends upon the type of hazard, the circumstances of exposure, other protective equipment used and individual vision needs. What are a few potential eye hazards in your workplace? Tradebe employs a wide range of personnel to manage an ever-growing assortment of reclamation, transportation and field service projects. Think about your workplace as a whole - where is eye protection required and what potential eye hazards are present? If you are working in an area that has particles, flying objects or dust, you must at least wear safety glasses with side protection. If you are working with a potential splash hazard, you must wear a face shield. If you are working in a confined space, area with a potentially hazardous atmosphere or harmful vapors, you must wear a full-face respirator. Know the requirements for your work environment. Side shields placed on your conventional (dress) glasses do not provide enough protection to meet the OSHA requirement for many work environments. Seek medical attention as soon as possible following an injury, particularly if you have pain in the eye, blurred vision or loss of any vision. Alert Environmental Health & Safety of any workplace eye-injuries or incidents. Several simple first aid steps can and should be taken until medical assistance is obtained. Safety eyewear must have “ANSI Z87” clearly marked on all glasses or goggles and should always be worn whenever eye hazards are present. Eliminate hazards before starting work by using machine guarding or other engineering controls. Alert EHS or Supervisors immediately if safety hazards are discovered. ​Various levels of PPE are an important and necessary part of our daily routine at Tradebe. Need help with your Environmental Health and Safety Plan? Contact us now and let us put our expertise to work for you! Tradebe blog article "Understanding Proper PPE"